Visiting the Dentist is expensive. Usual dental checks and fixing of cavities easily cost hundreds of dollars but there are other procedures that can hit it out of the ball park. Wisdom tooth extraction, braces, dental implants and root canal treatment. Most people who find themselves faced with these procedures usually neglect them if the issue is not causing pain, and finally get around to doing something about it when it is too far gone. Prices of the dental procedures vary wide depending on the clinic one goes to. In Singapore, these services are offered in public and private clinics. Public clinics tend to be cheaper, but they come with longer wait times and can be restrictive. Private ones have more services, shorter queues, and of course, a higher price tag. A person who needs urgent care will most likely need to go to a private clinic to get the help they need in time. In some cases, one might not have enough money for the dental services and will need some extra funds to cover the cost. 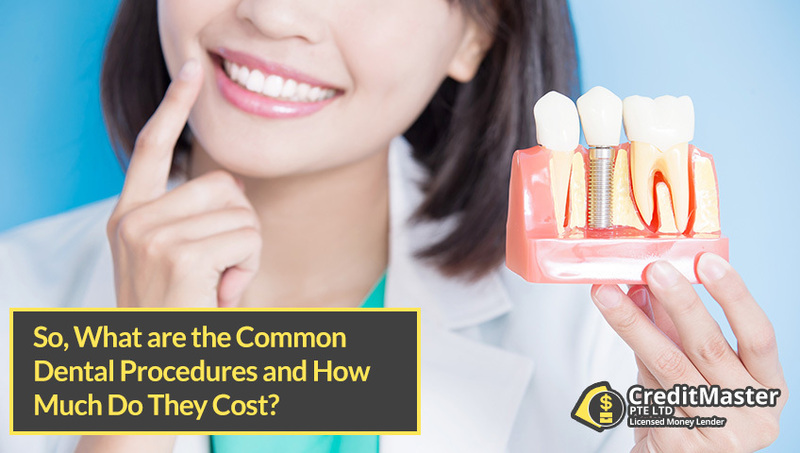 So, What are the Common Dental Procedures and How Much Do They Cost? This treatment works for people with a tooth that has become infected or is rotten and painful but is salvageable. The procedure involves the removal of the root of the tooth instead of extracting the entire tooth. It takes a minimum of 2 dental visits to get the job done. A root canal is priced based on which tooth is being treated because some are easy to do while others can be challenging. Canines and incisors are the easy ones because of where they are in the front. The cost for this procedure can start from $270 if one goes to a public clinic and go as high as $1670 if one goes to a private clinic. 2. Extraction of Wisdom Teeth. These are usually the last to grow out and it usually occurs during one’s late teens or after one has reached early adulthood. Sometimes they are impacted, which simply means that they emerge partially, or when they are out of alignment. When this happens, they tend to cause tooth decay, or may negatively affect the teeth neighboring them leading to a very painful condition. When this happens, extraction becomes the go to solution. It can be a simple procedure or a complex one which affects the cost of extraction. Public hospitals will charge about $600 on average, while private ones can be as high as $2200. Usually, the surgery only takes a few hours; however, healing can take weeks before one is able to make a full recovery. People with missing teeth are often self-conscious, especially if the said missing teeth are in the front of the mouth and easily noticeable. It may even hurt their self-esteem and cause them to have low confidence. In the past, one used to have to get dentures to fix this problem, but today, dental implants are a much better option. Dental implants are considered the superior alternative because they look and act like your natural teeth. The procedure involves the implantation of a titanium root in the jaw, and the fitting of a synthetic tooth on it. This procedure is complex, and the implants are expensive. Public dental clinics charge $1,600 for each tooth, while private ones can go as high as $4,815. 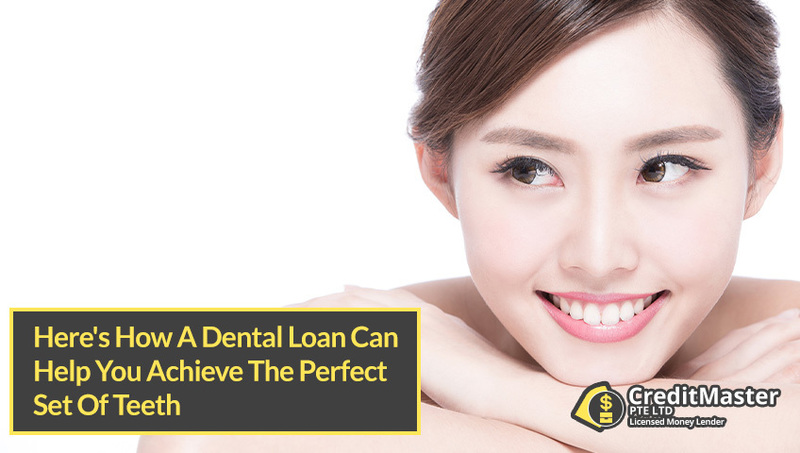 If you require any financial help for your dental treatment, CreditMaster offers affordable loans at low interest rates that can help you get the perfect set of teeth. Those people who are mindful of how braces look can consider Invisalign, for they are also known as the invisible braces. Traditional braces are commonly referred to as grills or railroad lines because of their look. They tend to be overly conspicuous, making most wearers self-conscious. Invisalign offers discretion especially for adults who are looking to align their teeth and do not want their appearance to be affected. Most people who get these braces find them quite comfortable unlike traditional braces which are not easy to accommodate and get used to. The fact that they are invisible is, for most people, the number one benefit. They are particularly great for adults who prefer not to wear the traditional braces. Wearing Invisalign does not affect their appearance which reduces the chances of harming their self-esteem. Easy maintenance. Unlike traditional braces, these ones are very easy to maintain and to clean. In fact, all you need to do is remove them, clean them, brush your teeth and then put them back in. Yes, they can be removed unlike traditional braces. They can also be removed when eating and put back in after that. These braces come with a high price tag. The price range is between $8000 and $9500. There are clinics that have that cost as low as $4500 – $6500. These lower quotes usually do not include the cost of x-rays, retainers, bite adjustment, guards and the like. Obviously, these costs are very high for most people which makes any extra form of financial help greatly appreciated. The duration and complexity of treatment. One will have to visit the dental clinic several times before the new aligner can be fitted. If the case is complex, there will be a need for more visits and the treatment may last longer. It may take up to 2 years or more. The longer the treatment goes the more money one spends. The type of clinic. Different orthodontists will charge varying rates for the services they offer and the amount of experience they have. That said, it is important that you make sure you can afford the dentist you are working with. If private dental clinics are too expensive for you, opt for public ones that may offer the same services cheaper. Try to register as early as possible for public services as they have long waiting periods. This tends to be the most expensive package and it is used when dealing with complex cases. The package covers all the aligners that will be required in the process of alignment. This treatment package covers as many as fourteen aligners. The treatment often takes six to seven months. This package works well for those with minimal alignment needed. One gets as many as 7 aligners with this package. Dental loans are designed to help everyone get the perfect of teeth. Be it tooth decays, crooked teeth, teeth whitening or wisdom tooth extraction, dental loans by CreditMaster will be able to help!  To qualify for this type of loan, you need to meet the eligibility requirements. 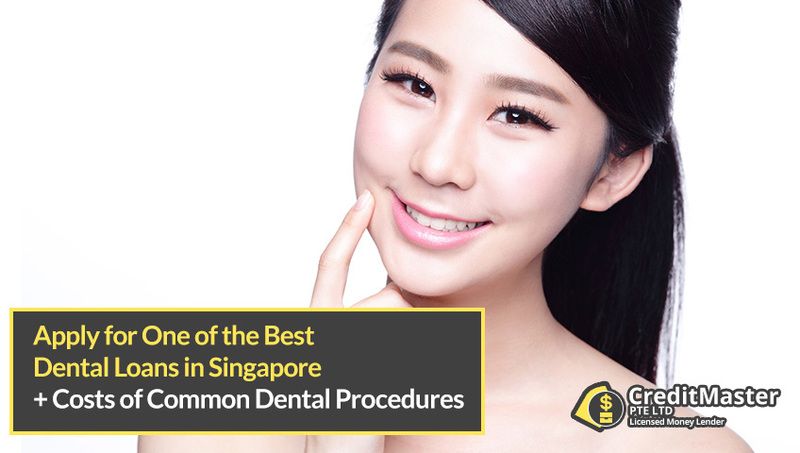 Singaporeans, permanent residents and even foreigners are welcome to apply for a dental loan. For foreigners, they will required to submit their employment pass and proof of income. All applicants have to be 21 years old and above as well. Also, each applicant’s TDSR (Total Debt Servicing Ratio) also has to be below the approved 60%. That said, one should not wait until things get bad before they seek the financing they need to have their dental work done. Having a good set of teeth with good dental hygiene is as important as having good health. With a good loan, you can pay off the dental work and then make affordable monthly payments until the debt is all paid off. CreditMaster’s loans are designed at low interest rates so as not to strain their applicant’s finances. Stop waiting if you need both dental and financial help. Feel free to speak with our friendly consultants and apply today.